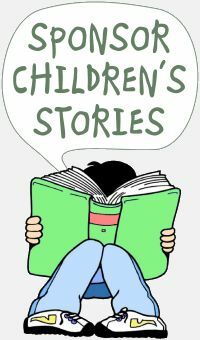 Sheila Helliwell's writing started when she began creating stories for her children, Sheila realised the story content made a big difference to children's enjoyment and learning and carefully wrote her stories to help her own children's development. 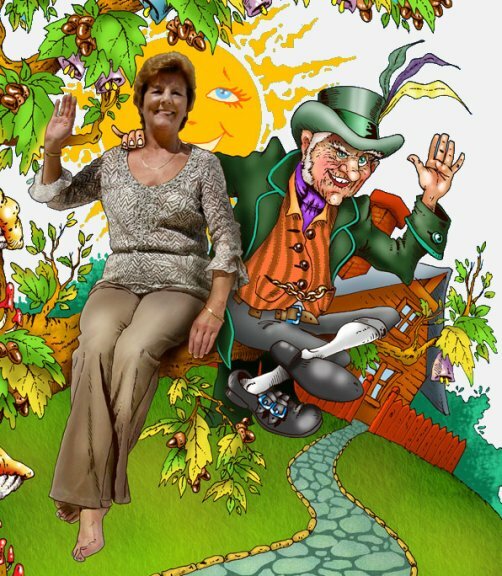 Sheila (shown above with her character "Magic Murphy") is determined to help with children's literacy, she is a key team member and Story Editor at Childrens-Stories.net and has contributed many of her successful stories. 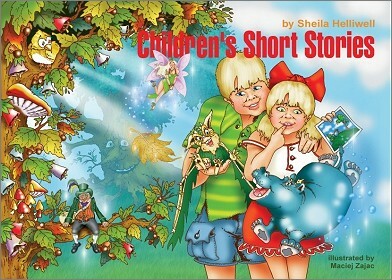 Children's Short Stories (Book 1) by Sheila Helliwell is the highest quality printed hard back book featuring 5 of Sheila most popular stories to date: Hippo in the Pantry, The Tree that Cried, The Leafless Fairy, Monty the Monster and The Glass Snowman. 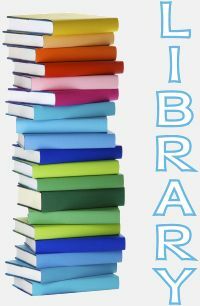 Specially made for sharing with a young child, this book will open out across two laps, 58cm (23 inches) wide when open, or can easily be held togther when reading, large easy read words ideal for children, see open book and text sample images below. Every page beautifully illustrated in full colour by Maciej Zajac (the leading children's illustrator). 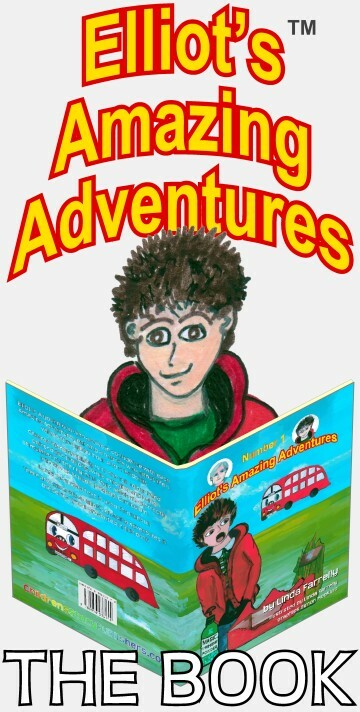 No matter how young you are you'll enjoy this collection of short stories which are loved by both young children and the young at heart. 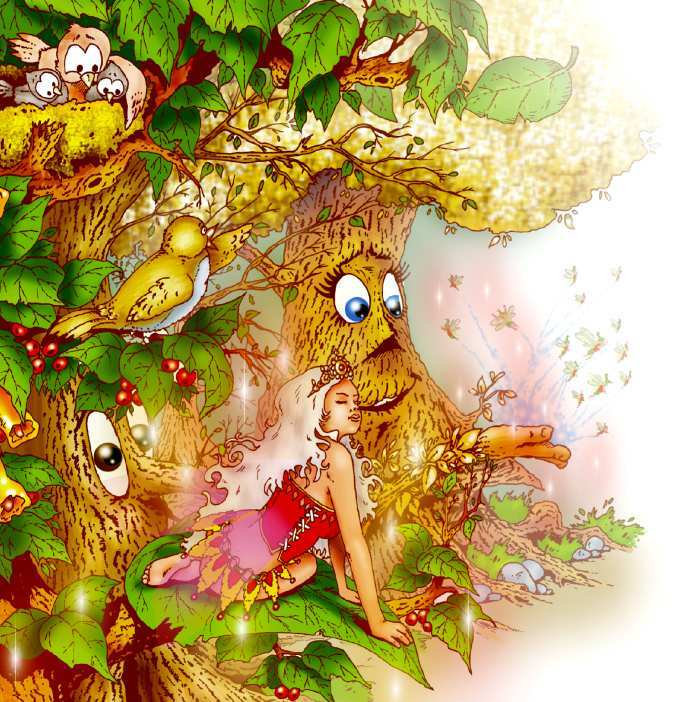 Enjoy the loveable and enchanting characters that are part of every child's imagination, which many adults have long forgotten. As you read each story, you'll see them come to life through the outstanding illustrations, perfect for helping encourage an early interest in reading. Thanks for your interest in Sheila's work.